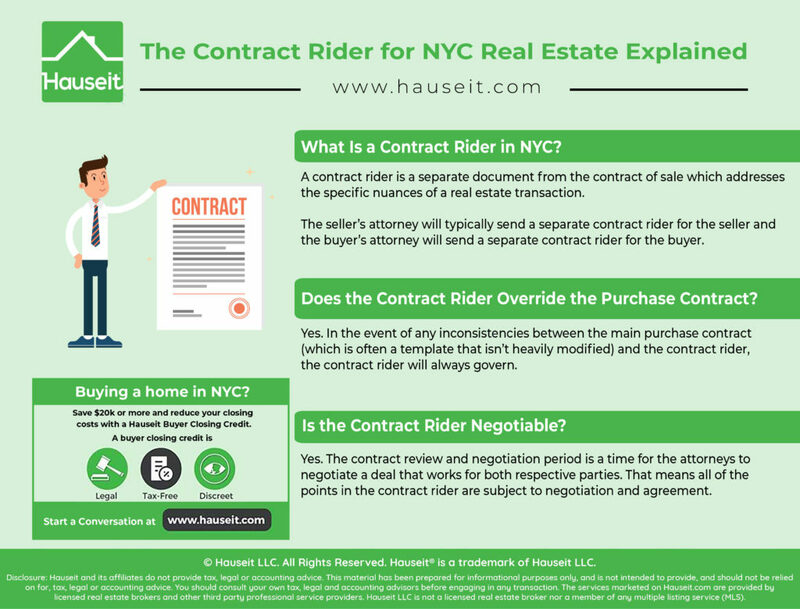 What exactly is a contract rider for a real estate deal in New York City? Does the contract rider supersede the main purchase contract? 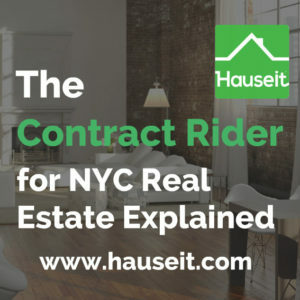 We’ll discuss everything you need to know about the contract rider for real estate transactions in NYC and show you sample cover letters and contract riders. What Is a Contract Rider in NYC? Does the Contract Rider Override the Purchase Contract? A contract rider is a separate document from the contract of sale which addresses the specific nuances of a real estate transaction. Please keep in mind that most real estate attorneys do not mark up the contract of sale which is often a template from official sources such as the Committee on Real Property Law of the Association of the Bar of the City of New York. Instead, the seller’s attorney will typically send a separate contract rider for the seller and the buyer’s attorney will send a separate contract rider for the buyer. Both of these contract riders are negotiated and will be part of any fully executed purchase contract. Note: This form is intended to deal with matters common to most transactions involving the sale of a condominium unit. Provisions should be added, altered or deleted to suit the circumstances of a particular transaction. No representation is made that this form of contract complies with Section 5-702 of the General Obligations Law (“Plain Language Law”). Pro Tip: Did you or your attorney verify the square footage of the apartment you’re about to purchase? If not, make sure to read our guide on how to measure square feet for real estate in NYC. That last thing you’ll want is to be bamboozled into thinking you’re buying more space than in reality. You don’t want to be the classic remorseful buyer! Yes. In the event of any inconsistencies between the main purchase contract and the contract rider, the contract rider will always govern. This is typically indicated in the first bullet point of a contract rider. Remember that the contract review and negotiation period is just that, a time for the attorneys to negotiate a deal that works for both respective parties. That means all of the points in the contract rider are subject to negotiation and agreement. For example, you’ll see in our sample contract rider for a seller below that the seller’s attorney has asked for a monetary reimbursement if the closing takes place outside of Manhattan. You’ll also see a request for the buyer to cover the seller’s carrying costs if closing doesn’t take place within 60 days of a contract being fully executed. Just remember that these are all negotiable points that the buyer’s attorney may push back on! Pro Tip: If you haven’t found the right attorney yet, make sure to read our guide on the right questions to ask your attorney before you hire them. Then, check out our article on average and typical real estate lawyer fees in NYC. This is a hypothetical cover letter from a seller’s attorney to a buyer’s attorney. This will typically be sent via email either as an attachment or in the body of the email. This email will typically also attach a Lead Paint Disclosure Statement, a standard contract of sale and the seller’s rider to the contract. Enclosed herewith please find one set of Contract of Sale and Rider to Contract of Sale for your review and comment. Should you have any proposed amendment or comments, please do call this office for discussion. If you find the Contract and Rider acceptable, please kindly make three additional sets and have your client sign same and return them to me along with the Contract Deposit Check payable to “NYC Real Estate Attorney Services, LLP as Escrowee” in amount of $150,000. Note that, as is customary, the attached draft shall not be binding on the Seller until a contract is returned to you executed by such seller. Pro Tip: Make sure you understand the difference between a final walk-through for a re-sale vs a punch list walkthrough when buying a new condo conversion or new construction home in NYC. If your buyer’s broker can’t explain the difference to you, it’s time to get rid of your real estate agent and work with one of our seasoned buyer’s brokers who will not only give you great advice, but will also give you a discreet closing credit worth $20,000 or more against your closing costs! 1. In the event of any inconsistency between the provision of this Rider and the Contract of Sale is annexed, the provisions of this Rider shall govern and be binding. 2. Within forty-eight (48) hours of the time fixed for closing, the Seller shall permit the Purchaser access to the premises to make a final walk-through inspection. Said inspection shall be made at reasonable hours and only by prior appointment. 5. The Acceptance of a Deed by Purchaser shall be deemed full performance and discharge of any agreement and obligation on the part of the Seller to be performed pursuant to the provisions of this Contract, except those, if any, which are herein specially stated to survive the delivery of the deed. 6. This contract may not be assigned or transferred by the Purchaser without the express written permission of the Seller. 7. Violations in any County, City, State of Federal Department which the Seller is required to remove hereunder, shall not be an objection to title, provided seller deposits a sum sufficient to perform the work and to provide the materials necessary to remove such violations within sixty (60) days from the date of closing of title. Should the cost of removal of the violations exceed the sum of $1,000.00 then the seller shall have the option of canceling this Contract unless the Purchaser shall agree to accept that amount in full discharge of Seller’s obligation in reference to violation. 8. Purchaser represents that NYC Realty Corp. and Manhattan Real Estate LLC are the brokers who brought about this sale; that Purchaser did not consult with any other brokers with regard to this transaction, and was not shown or advised of the availability of the subject premises by any other broker; Purchasers agree to indemnify and save and hold harmless the Seller from any and all claims, liabilities of damages including reasonable attorney fees that may arise by reason of any brokerage commission claims, arising from Purchaser’s acts and make this covenants as an express inducement to the Sellers to make this sale. This covenant shall survive the delivery of the deed. 9. It is understood that the submission of this contract is not an offer to seller and neither party shall be bound until the contract is signed by all parties. Until such time, Seller may withdraw the property from sale to the Purchaser. 10. PURCHASER shall notify SELLER of any objections of title, and SELLER shall be entitled to a reasonable adjournment of Settlement in which to cure such objections, nothing herein contained, however, shall be deemed to obligate SELLER to undertake any actions or proceeding to cure title defects, and in the Premises as herein specified, the sole remedy of PURCHASER shall be to accept such title as SELLER shall be able to deliver without abatement in the purchaser price or in the alternative, to cancel this agreement and receive a refund of the contract down payment made hereunder. Receipt of a title report by seller attorney shall be deemed notice of all objections, exceptions and violation of title. 11. The downpayment (the “Downpayment”) shall be held in escrow by NYC Real Estate Attorney Services, LLP (the “Escrowee”). Upon dispute between the parties, Escrowee shall have the right to deposit the Downpayment into a court having jurisdiction over the parties and thereupon be released of any and all obligation and liability hereunder. 12. This sale is subject to any state of facts an accurate survey may show, provided same do not render title unmarketable; easements, conditions, reservations, covenants, restrictions, laws, regulations and title, if any, of the Village, City, Town or County in which the premises are situated, provided same are not violated by existing structures or present use. In the event there exists any additions or improvement to the premises which violates easements, conditions, reservations, covenants, restrictions, conditions, or regulations, the existence of such violations shall not be deemed an objection to title provided that a title insurance company will insure that said additions or improvements may remain in their present locations as long as same may stand. Any lien or encumbrance existing on the premises shall not constitute as an objection to title so long as seller at closing delivers to or deposits with the title company a sufficient amount or such instrument required by the title company to have same discharge or so long as title company is willing to insure title against collection from such lien or encumbrance. 13. In the event Purchaser fails to perform any of the terms of this Contract, Seller may, at its option, retain all of the monies paid on account hereunder as liquidated damages and this contract shall be deemed null and void. 14. In the event closing shall take place outside of the County of New York then Purchaser shall pay Seller’s attorney $200.00 as and for the attendance fee. 15. Title to all personal property included in this sale is being conveyed. All personal property is in an “as is” condition and the quantity which exists on the premises unless specified otherwise in this contract of sale. Seller and Purchaser agree that no part of the purchase price hereunder is allowable to any of the items of personal property, if any, referred to in this contract. 16. As a material inducement to the Seller(s), the Purchaser represents that his income, credit and asset is sufficient meet the qualification and requirement of lender which Purchaser is applying with; that there is NO judgment(s) or bankruptcy against him. In the event that the Purchaser’s lender requires any Purchaser’s outstanding debt or loans to be paid or satisfied, the Purchaser agrees to do so. 17. This transaction shall not be conditional upon Purchasers selling any property, real or otherwise, which they may own. Any such condition contained in any mortgage commitment letter obtained pursuant to the terms hereof shall not be considered a condition to this transaction and this transaction shall proceed as if said condition did not exist. 18. Buyers agree and acknowledge that the premises is sold in “As-Is” Condition. If the mortgage commitment contains conditions requiring work / repairs to be performed on the subject property, it will be the Purchasers’ obligation to satisfy such conditions. (c) Seller and Purchaser shall mutually determine the terms under which sale will or will not proceed. 20. In the event that the check given as down-payment by the Purchaser to the Seller or escrow agent upon the execution of this Contract is dishonored for any reason other than the Seller, in addition to any other rights and remedies Seller has, may at his option, declare the contract as null and void and the Seller shall be released from any and all obligations thereunder. Purchaser is to reimburse the escrow agent $200 as the administrative fee. 21. Purchaser hereby agrees to deliver to the attorney for the Seller, on or before 20 days from the date of the receipt of the signed Contract of Sale, any objections or violations which may appear in any title examination that the purchaser has obtained. In the event that Seller’s attorney has not received such a list on or before 20 days from the date of receipt of the signed Contract of Sale, then it shall be presumed, subject to a continuation search at closing, that no objections exist to Seller’s ability to transfer title to the subject premises in the condition required by this contract. Any attempt by the Seller to cure any objection shall not be construed as an admission by the Seller that such is a right of Purchaser to cancel the contract. 22. The seller shall deliver the premise in a broom clean condition upon the unit being delivered vacant. 23. The plumbing, heating and electrical systems, alarm, air conditioning and appliances included in this sale, to the extent that Seller is responsible for maintaining same, shall be in working order as of the time of title closing and the Unit will be free of leaks. 24. Seller represents that: (i) any alterations made to the Unit by Seller were done in accordance with all applicable governmental regulations (including without limitation, all zoning laws and building codes); (ii) all necessary permits and licenses were obtains and all required fees were paid in connection with such alterations; and (iii) all such alterations were approved by the appropriate governmental agency. 25. 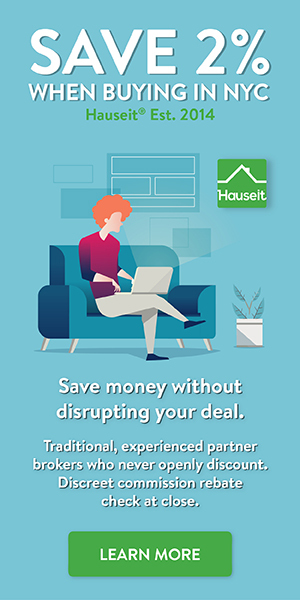 Purchaser shall pay all of the fees required to be paid to the Condominium Association and / or Managing Agent in connection with the purchase application. Seller shall pay fees specifically imposed on the seller by the Condominium Association and / or Managing Agent in connection with this sale. 26. Seller shall have the right to designate the Unit in connection with an exchange pursuant to the provisions of IRS Code Section 1031. In the event the Unit is so designated and Seller desires to utilize the Unit for a 1031 exchange, Purchaser shall cooperate with Seller and with any lender / accommodator to achieve a successful exchange; provide that the Purchaser shall not incur any expense in connection therewith nor in any way be responsible for the efficacy of the exchange. This transaction is not contingent upon the success or failure of any such exchange. 27. If the closing takes place sixty (60) days after the contract is fully executed, Purchasers shall reimburse the seller for the carrying costs through the date of closing. 28. It is consented to and agreed that “PDF” signature copies or facsimile copies of the signature of the Parties of this Contract and pages that same are located thereon shall be deemed to be originals. It is further agreed that this Contract may be executed in one or more counterparts, each of which shall be an original, and all of which together shall constitute a single Contract. This Contract shall be deemed to have become effective when one or more such counterparts shall have been signed by each of the Parties below. IN WITNESS WHEREOF, this contract has been duly executed by the parties hereto.